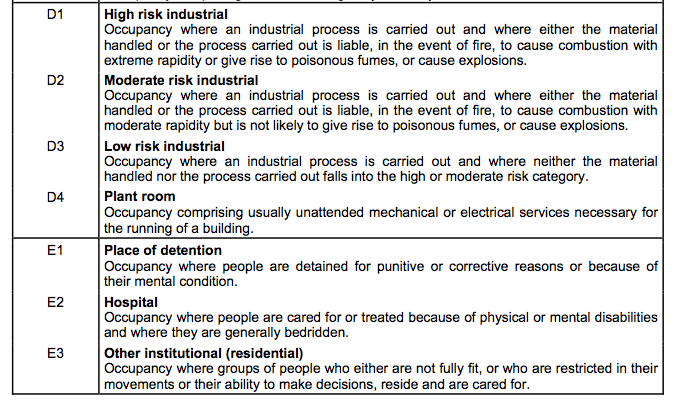 Each section of SANS 10400, the Code of Practice for The application of the National Building Regulations (NBR) is presented with the relevant extract from the building regulations (which is law), and is then followed by a general commentary explaining how the law should be interpreted to “satisfy” the law. Generally the regulations themselves are remarkably short, while the deemed to satisfy rules (now referred to as deemed-to-satisfy requirements) are quite lengthy. But in Part A of SANS 10400, General Principles and Requirements, the regulations cover about 15 pages. By contrast, the regulations section relating to excavation covers just half a page. You can download the standards (as published in 1990), as well as the most recent version of the regulations (the Act) published in its entirety, HERE, as well as the recent amendments to the Act. Just be aware that while the amendments to the regulations are complete, the SABS commentary in these documents, that explains how the regulations should be interpreted and applied, is not. 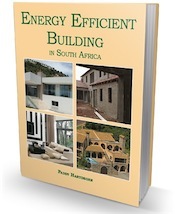 You can buy specific sections of the most recent edition of The application of the National Building Regulations SANS 10400-2011 from the SABS, either at one of their offices, or online at the SABS Internet store. and any other plans and particulars that your local authority requires. These general principles and requirements also specify the details that must be included on different plans, as well as the size and scale required on plans and drawings. They also state what colours to use to identify different materials on plans. For instance, new masonry must be shaded red and new concrete green. All existing materials are shown in grey. When architects, designers and engineers draw plans, they use symbols to identify certain details. These are also specified in Part A. There is also information regarding building control officers and their qualifications; specifications relating to plumbers and anyone doing plumbing work – only trained plumbers are permitted to do this work – specifications of who may design buildings, as well as inspect and assess them. Furthermore, Section 24 of the Bill of Rights in the South African Constitution states that everybody has a right to: “an environment that is not harmful to their health or well-being”. So if our buildings aren’t healthy, and aren’t built with our health and welfare in mind, they are essentially unconstitutional! Perhaps the greatest change – certainly the one that will impact on both individuals and the building profession – is the fact that all applications to build must now be accompanied by a declaration by a person registered in terms of a built-environment professional council, as to how the applicable functional requirements are to be satisfied. All plans must also be submitted by a “competent person” who is professionally registered in terms of the Engineering Professions Act, the Architectural Professions Act, or the Natural Scientific Professions Act. So unless you are a qualified architect, engineer, designer or somebody specifically with the required “education, training, experience and contextual knowledge” to judge whether a dwelling will meet the functional regulations, you are not a competent person! 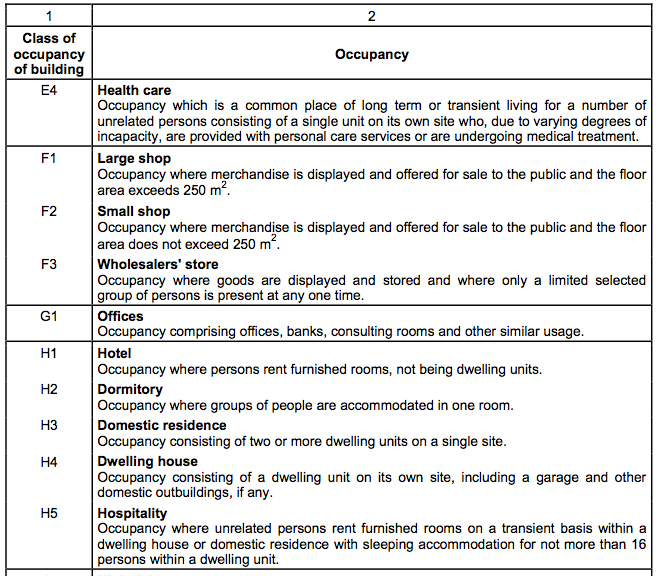 The NBR classifies all the different types of buildings, and when you look at the regulations, you need to be sure that what you are referring to refers to the correct type of “occupancy”. 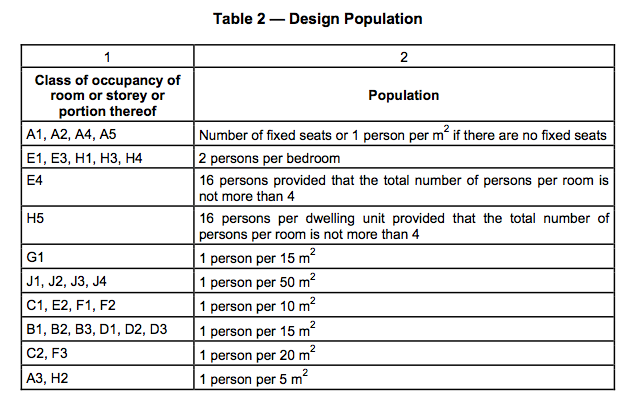 The following table shows what the “design population” is for each of the occupancies above. 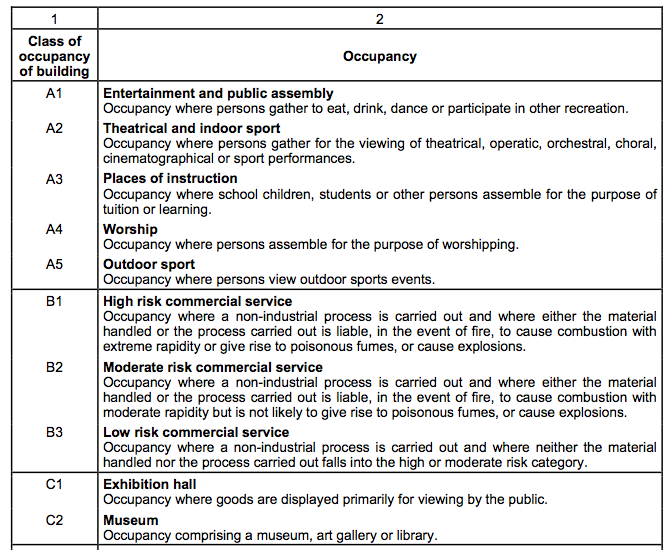 In other words, it shows how many people are allowed in the various buildings, which area categorized according to function. What does the regulations say about the responsibility of the developer and owner with regards to cracks, peeling and flaking on exterior walls that are less than 3 years old? Peeling and flaking sounds like bad paintwork – that’s your problem. Cracks could just be from the ground settling. If they are from serious structural faults then they would recourse via the NHBRC’s warranty plan (5 years). 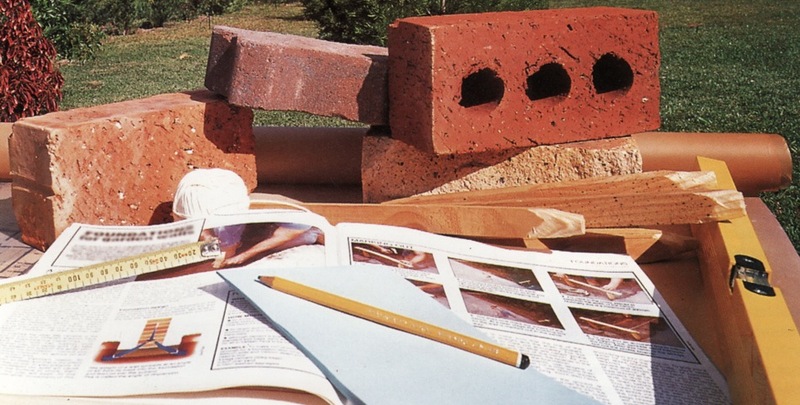 All builders must be registered with the NHBRC and so must the house. Hi there! We want to build our house bigger by adding some rooms. When we are done, the surface square metres of the house together with the outside building is more than 50 percent of the total surface of the yard. We live in a residential area. Is this allowed by law? Do the building regulations differ between urban and agricultural areas or are each bound by the same regulations and standards?